Firebird Studios is open for students of all levels to come and explore their own clay projects and ideas. We call these classes “Open Studio Classes”. One or more teachers and assistants are on hand to help you with your project. 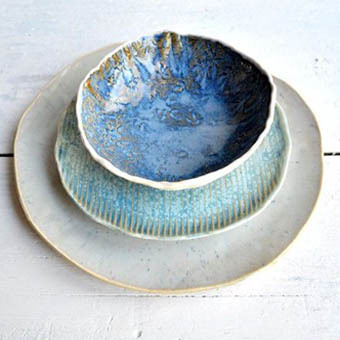 You should know the basics of rolling out clay, slump and drape moulding, pinch pots and coiling, creating textures, glazing and underglazing. We can introduce new ideas to help you achieve your project – such as choice of clay, sizes, colouring options, and firing procedures. On the whole you should be able to work on your projects with a timely work flow and basic understanding of the common procedures in clay. 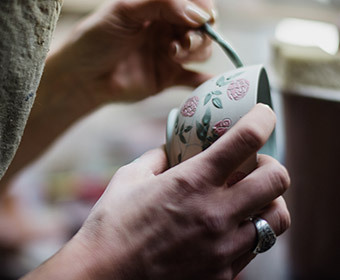 Out aim is to help you achieve exhibition worthy results as you progress in your clay skills! 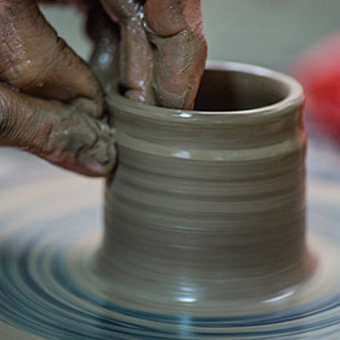 If you have not done at least four lessons in the basics of clay, we highly recommend that you start with one of our “Introduction to Pottery” courses! Please Note – other classes and courses may be underway during Open Studio Class – there will always be a teacher/assistant available who is not teaching a class. We ask that you do not participate in the courses/classes unless you have enrolled in them! Students can book for a regular time and your place will be reserved. Or, you can use the Schedule Page to book in for ad hoc classes. Passes and sessions can be booked and paid online, or in person.